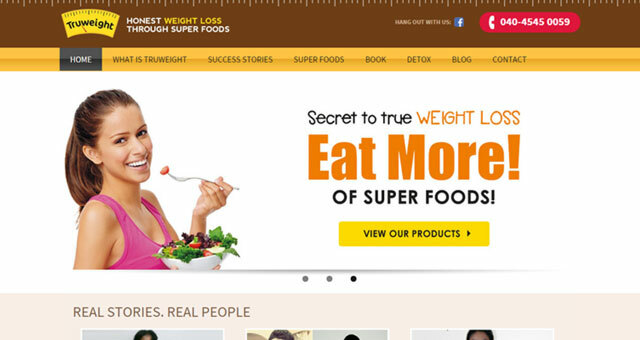 Hyderabad-based Truweight Wellness Private Limited, a weight management services firm which is launching an online and mobile interface for its services, has raised an undisclosed amount in Series A funding from venture capital firm Kalaari Capital. According to its website, Truweight currently operates seven offline centres in its home city and sells a food kit for losing weight without pills and fat-busting machines. The funding would help Truweight to strengthen its presence across India and launch a mobile app for bringing a tech interface for its users on the go. It offers a combination of 'super foods' with a customised nutrition mentoring plan. Truweight has around 30 food products that are made with over 25 ingredients such as spirulina, barley grass, alfalfa grass, acacia gum, herbs, foxtail millet, to name a few. The mobile app, currently in the development stage, will connect clients to personal dieticians for real-time counselling and provide access to the firm's food products from anywhere across the country. Speaking about Truweight's future plans, Vishnu Saraf, co-founder and CEO, said, "After enabling more than 7,000 weight loss success stories, we are now going to increase our reach through our mobile app. The funding amount will be used to hire key people, innovate and add a few more food products, build a revolutionary health app and establish physical centres in Bangalore and Chennai." Rajesh Raju, managing director, Kalaari Capital, said, "Truweight has a genuinely fresh approach to weight loss in a market cluttered with short cut offerings like pills, potions and exercise machines. At Kalaari Capital, we appreciate the vision of the co-founders and believe their technology driven, customer centric and truthful approach to a pervasive problem will bring them tangible success in the burgeoning health and wellness." Truweight has a team of 30 nutritionists who design custom diet plans for clients. The startup was founded by Saraf and Megha More. Saraf is an alumnus of IIM Ahmedabad while Megha did her MBA from MDI, Gurgaon. Truweight competes with several players offering weight management services including HealthifyMe, which recently got backed by handset maker Micromax, among others for a slice of the expanding weight management market in India. It differentiates itself with its own food kit. Kalaari Capital Advisors Pvt. Ltd. Truweight Food Pvt. Ltd.